Camping is a great outdoor activity that any family should experience. It is a way to bond with the kids and enjoy Mother Nature at the same time. It can be a very good learning experience for all, and all the more for kids. Still, camping is not without its potential dangers. It’s going into the so-called wild after all. What should make a family camping somewhat difficult is the fact that there are kids in the group. Kids are wired differently from adults. Therefore, they will need all the reminders and protection their parents can give. Taking precautions will minimize or, hopefully, prevent any untoward incident that may hurt or endanger kids. These are several tips to help plan for safe family outdoors activities. Take notes. Write down all reminders for an upcoming camping trip. For instance, “Make sure to lock all the doors and close all windows securely before leaving.” Knowing that these were done prior to leaving will not invite worried thoughts and distract from paying attention especially to the children. Pack light. That is the default advice for anyone going to any kind of trip. If camping involves some hiking, then definitely, don’t lug around things hikers have no need for, like a beauty kit. The extra weight will only tire and slow a person down. Include only necessary extras. Perhaps, one child still only sleeps hugging his/her favorite teddy bear. Letting the child bring the teddy along will minimize tantrums during travel and on the campsite. No worries at sleeping time. Segregate stuff. For easier access, keep each family member’s things together. What if a kid gets an asthma attack? It would be more convenient to know exactly in which bag or case the inhaler is in case it’s not in his/her pockets. The first-aid kit would be a good place to put it in also. Consider bringing bikes. In case the campsite is far from a beach or play area, bringing bikes might be helpful. Find out beforehand just how far the distance is to decide if bringing bikes would be helpful at all. Check the weather. Plan based on location and time of year. It may not be the right time to go camping at this location or that. Do a research. Find out the possible weather conditions. Would it be too hot for comfort? Would it be too rainy to do anything other than stay in tents and hope the water doesn’t get in? The kids won’t be happy campers, that’s for sure. Of course, all the planning won’t mean much if extra cautions are not done on the campsite itself. Remember that kids are quite more susceptible to getting sick, not to mention getting into mishaps. They run around, go off somewhere, slip under things, touch everything, play with abandon. Anyone who’s ever had kids or taken care of one knows these. Follow campsite rules. Rules are there for a reason. If campfires are not permitted at the chosen campground, for instance, then there shouldn’t be any. Usually, it’s to prevent a forest fire. If campfires are allowed, don’t let the fire linger. Put it out completely. The point is, make sure all family members, including the kids (at least, those old enough to understand), will follow every rule to avoid untoward incidents. Set more rules and boundaries for the kids. Tell them where they are only allowed to go unsupervised by parents and where they aren’t. This includes other campsites. They might bother other campers. And they are not supposed to talk to strangers in the first place, right? No matter how nice the stranger. Orient the kids. Let them memorize the camp location so they won’t get lost easily. Make them memorize the campsite number and all the possible landmarks. Pay small kids the most attention. 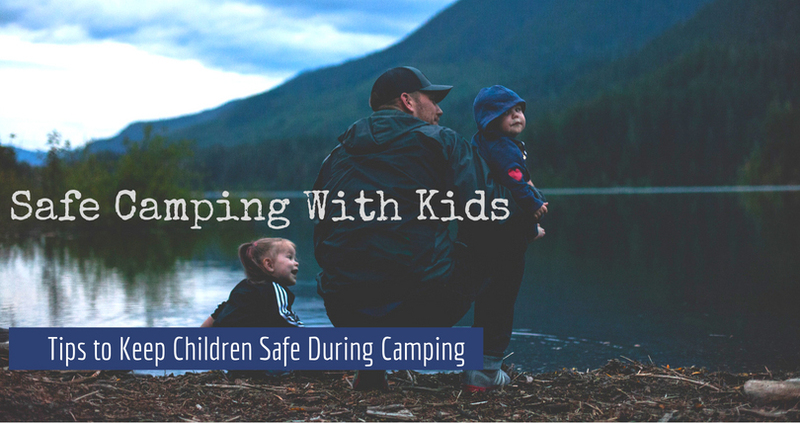 Keep a close watch on little ones who tend to wander around or get near campfires. Never camp near water. It’s like a cat-and-mouse thing — while parents are away (or not looking), children will play. Kids do have the knack to get into trouble when not being watched. So choose a campsite that is near enough to water, but one that can only be reached by hiking a significant distance. Make sure there are more than enough food and water. Hungry stomachs make cranky campers. The body does still need the nutrients and strength for camping and hiking activities. Most important is water to always stay sufficiently hydrated. Water should always be available. alcohol-based hand sanitizers available at all times. Beware of wildlife. Ask park rangers about wildlife activities that might happen in the area. It is better to know what to expect, avoid, or do in case of an encounter. Not all wild animal encounters can be expected to go smoothly, so knowing how to act should help keep everyone safe, people and animals alike. Store food in insulated cooler. Some types of food get easily spoiled. Prevent this from happening by storing it well. What could be worse is to eat something that may cause stomach aches or food poisoning. Never forget a first-aid kit and medicines. Expect the…well, they’re not really that unexpected. Make sure the first-aid kit is complete with all that may be needed for cuts, scrapes, and minor burns. Don’t forget medicines, specifically prescribed medicine. Poison Ivy gets a very special mention because if there’s any possible danger that any camper should really avoid, it’s getting in contact with poison ivy. It has an oily skin irritant called urushiol that can cause painful rashes and blisters. It can also cause swelling and difficulty in breathing in more extreme cases. This pesky plant is, unfortunately, quite abundant in many parts of the country. Needless to say, when going camping, better be prepared to meet it. Of course, the best thing to do is to familiarize the family with how the plant looks like so that everyone can avoid touching it in anyway. But because it may also catch anyone unawares, it would be good to have solutions ready. Let the kid take an antihistamine as first aid. Prescribed antihistamine should work best. The victim must take off everything on him/her that may have gotten in contact with poison ivy. This prevents more urushiol transfer to the body. Wash the body immediately with soap and water for five to ten minutes. You can also use Tecnu original poison ivy wash to remove the rash causing oil from the skin. Rub vigorously for two minutes, and rinse with cool water or wipe off with a cloth. It can remove the oil toxin before the rash begins when used within 2-8 hours after exposure to poison ivy, poison oak, or poison sumac. But once rash started, Tecnu helps in washing off any free oil on the skin allowing the natural healing process to begin without the possible spreading of poison ivy oil. 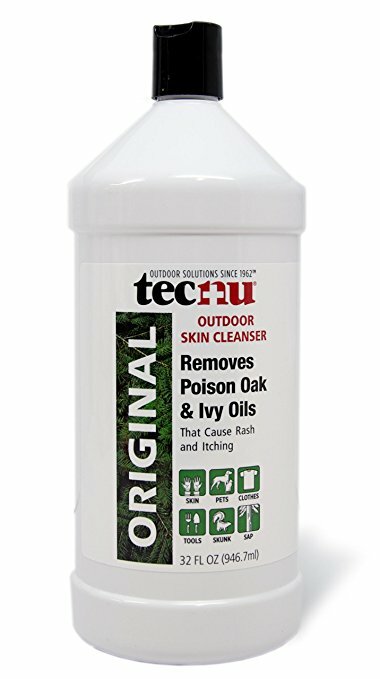 Tecnu original can be also used to wash off poison ivy off outdoor gear and clothes. Have the child wash his/her hands. Clip off long nails and clean under them thoroughly as the toxin may still be there. Rashes don’t spread; the fingers simply transfer the toxin to other parts of the body. If there are bodies of water nearby, have the patient dip in it to cool down — inflammation persists and worsens under warm temperature. If none, wet soft cloth and carefully dampen the rashes with it. Keep the child away from the sun. Keep him/her cool. Let him/her wear light clothes that will not further irritate the rashes. Expose the rashes to the air. Apply creams and lotions made for this specific purpose. 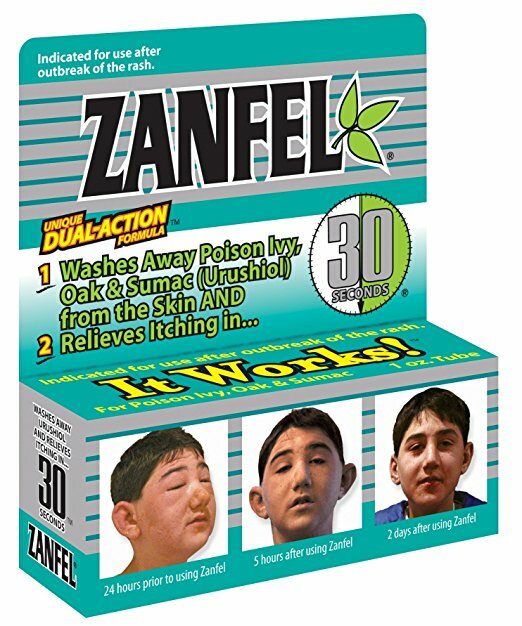 It is advisable that hypersensitive campers always bring with them products like Zanfel. Tecnu Original and Tecnu Extreme. Application on affected areas can considerably ease the pain as such products have ingredients or properties that rid of the oil from the skin. Check this out Poison Ivy in Children and learn more information about symptoms, treatment, prevention, and signs of emergency. It contains an in-depth guide on what to do when children are exposed to poison ivy. Don’t let the thought of poison ivy or other things dampen the mood for some family camping fun. All that is needed are some planning and preparation, a lot of protective measures, and keeping a good sense. Then the family’s good to go! « Bleach on Poison Ivy Rash – Is it Safe?